Without a doubt, #HurricaneMaría was a beast (or a b!#$&) that none of us wish we would’ve met (sorry to the cool María’s we know.) Great-grand parents, grandparents and even our parents made stories about the most terrifying hurricanes they have ever lived; but definitely nothing could have ever prepared us for what was about to happen. The hours prior to the hurricane were exhausting, the hours during the hurricane were nasty – and don’t get me started on when the eye actually passed over many cities in Puerto Rico. Waking up the next day and realizing we were alive was definitely a blessing; however, going outside and seeing the devastation that hurricane maria caused to Puerto Rico was (and still is) too much to handle. Trees and electric poles knocked down from left to right, big portions of the island being flooded, roofs that were gone with the wind; and on top of that, no water or power service and telecommunications fully down. How can we get over this? How can we make the most out of what’s happening (if that’s even possible)? For starters, ambinity has a list of organizations that are currently helping Puerto Rico on her latest blog post. 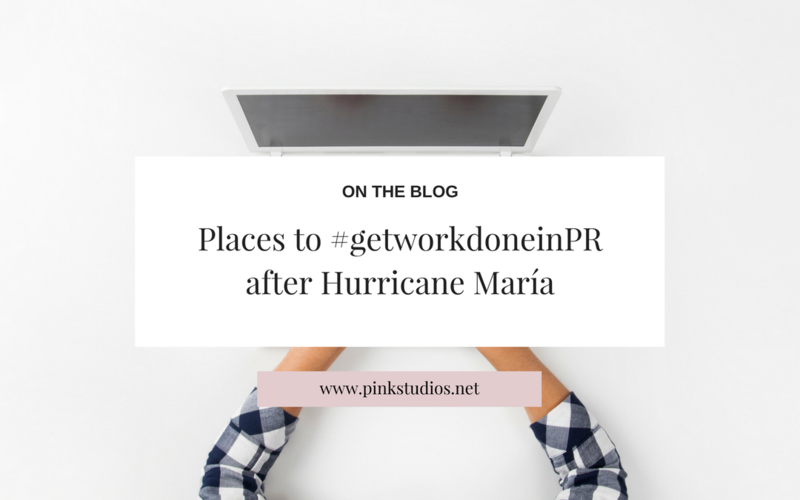 However, if you are a freelancer, small or medium sized business owner who desperately needs internet to #getworkdoneinPR; we have compiled a list of available locations that are offering free or paid spaces to allow you to continue your pending jobs. 7012 Boca de Cangrejos Avenue, Carolina, Puerto Rico 00979 | 939-269-7962. Cool list, thanks! Engine-4 Co-working Space in Bayamón (paying) and the San Patricio Food Court in Guaynabo (Free Internet access through Claro WiFi).